An interesting new release for those electronic music producers and DJs that proves Pioneers relentless commitment to pushing alongside the competition in terms of DJ innovation, despite it still having a firm foothold in the industry with traditional CDJ setups. This new DJ product comes alongside the launch of Rekordbox 5.0 Pioneer have released a brand new DJ Controller, the DDJ-XP1. 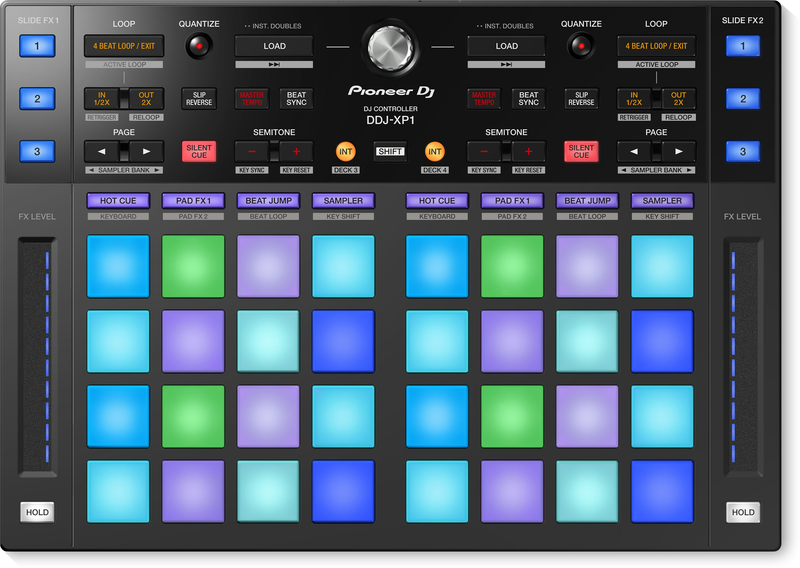 With 32 multicoloured Performance Pads it's designed to work alongside Rekordbox DJ and Rekordbox DVS adding even more creative possibility to DJ a VJ sets. So, the aim is that when the DDJ-XP1 is added to your Rekordbox setup you can enjoy control over Hot Cues, Pad FX, Beat Jump, Sampler, Beat Loop or the new Key Shift and Keyboard modes. Check out a video below to see an introduction to the new unit. Price is set to be £229 and the unit comes bundled with Rekordbox DJ and Rekordbox DVS.